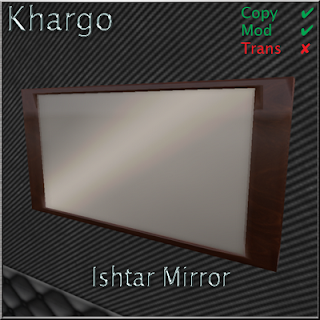 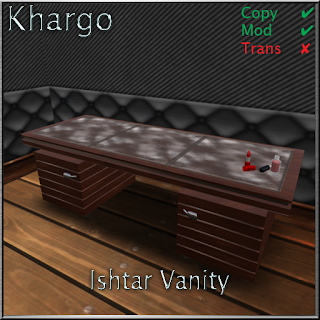 The Ishtar bedroom set is a new direction for us. 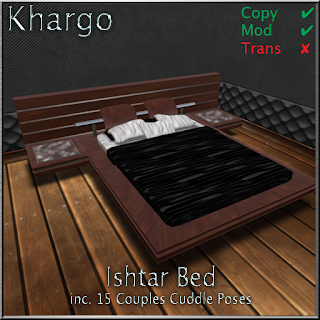 Although we have a few beds on Xstreet we've never sold any in store - until now! 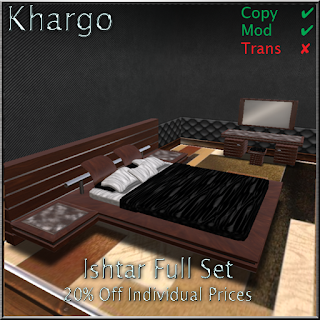 The Ishtar is a very contemporary set comprising of bed with 15 cuddle, kiss and sleep animations, vanity desk with lipstick and nail polish, mirror, stool and rug. 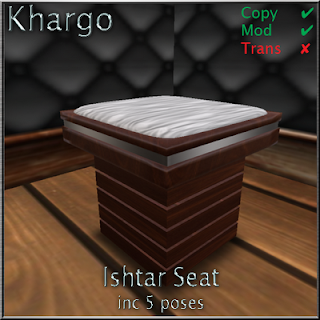 As usual, the furniture has texture, tint, shine and glow options and some of the nicest poses in SL. 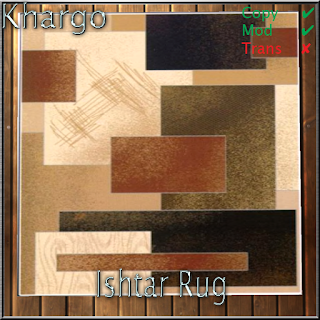 Ishtar is on offer on Xstreet and you can view and try the set in store.